Being a girl brings its fair share of problems, we’re not exactly as blessed as men seem to be! However, one of the biggest problems that a girl seems to have, comes from their wardrobe. There are a million wardrobe nightmares that seem to happen, and they all seem to happen at the wrong time. It’s probably due to the number of clothes and accessories that we try to cram in there, and the time we leave ourselves to get ready. We often spend so much time doing our makeup, we leave the outfit picking until last. Only to find out that we just can’t find any suitable for the event we’re going to! It’s just something we all go through, but we want to try and make these wardrobe nightmares easier for you so that you don’t have to worry about any more happening in the future! Why Don’t You Prep Sooner! This is the mistake all of us girls make. We’ll leave the prepping until the last minute, and when we come to find the outfit that we want to wear, we either can’t wear it, or find out there’s something wrong with it. If you want to make sure all of your items are perfect every single time, we highly recommend you start using a dry cleaners. If you check out websites such as masterdrycleaners.com.au, you’ll see the wide range of services they offer that will suit your needs. Having it done professionally takes a lot of weight off of your shoulders, and it’ll be in perfect condition for your perfect night out. Some items of clothing that you might have will have specific cleaning instructions that you might not be able to follow, so you might even be saving yourself some time and effort by sending it to a dry cleaners. If you’re going to prep for a night out, do it the morning of the time that you’re going out. 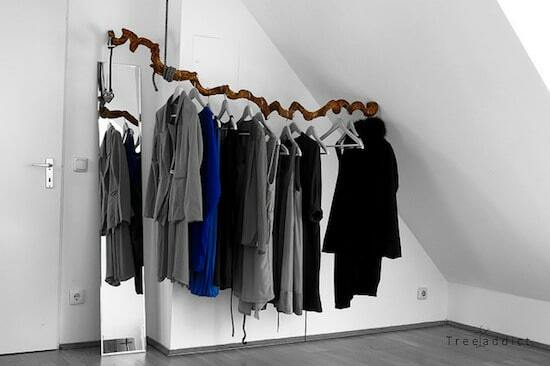 A wardrobe is only a nightmare if it’s not organised, which for most of you, we know it’s not going to be. Organising your wardrobe is going to take a while, so dedicate an hour or two this weekend to it to get it into tip top shape. A good way of organising it is by putting your items into sections. Hang your jeans up in one section, then tops, then jumpers, then coats, then dresses etc. It’ll be so much easier to find the items if you know exactly where to look. Trust us, it’ll cut getting ready time down to nothing. If you’re finding yourself with wardrobe nightmares all the time, then it might be time for you to cut down your wardrobe to a normal person’s size. If you’re a self confessed hoarder, this is going to be pretty hard for you. Start by picking out the items that you always don’t use. Then the items that you aren’t really keen on, then the ones that you know don’t fit you. You should all of the sudden have a lot more room left!